Neoclassical piano music is having a moment in Canada these days, between the emergence of Jean-Michel Blais, the impending release of Chilly Gonzales' Solo Piano III and Alexandra Stréliski's delicate piano soundscapes, which have been heard in much of the recent work by director Jean-Marc Vallée — including HBO's latest summer smash series Sharp Objects and Oscar-winning film Dallas Buyers Club. Her upcoming album Inscape is sure to continue to boost her rising profile. Even with no visual accompaniment to pull focus, Stréliski's music commanded attention. 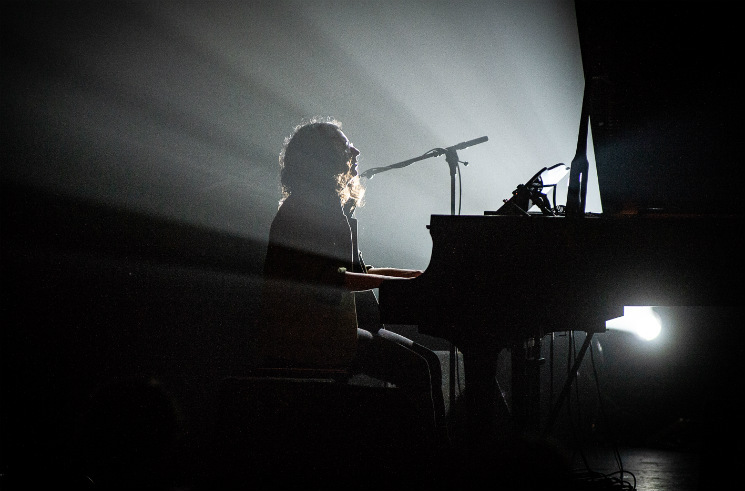 Sitting alone onstage at a piano, Stréliski performed a series of neoclassical compositions that tugged at the heartstrings and showcased the power of good composition. Highlight "Changing Winds" recalled Michael Giacchino at his most uplifting, attaining a sweetness in its simplicity. Stréliski's ability to convey a mood with minimal arrangements has made her a formidable composer, and her standalone work proves that she doesn't need film accompaniment to pull it off.